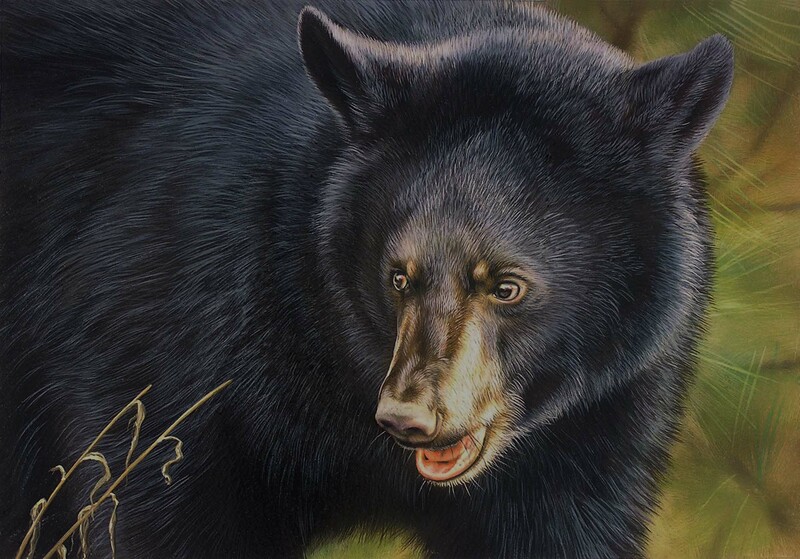 The Maryland Department of Natural Resources is pleased to announce the winners of the annual Black Bear Conservation and Migratory Game Bird stamp design contests. A panel of judges chose the winners on March 16 at Blackwater National Wildlife Refuge in front of an enthusiastic crowd of contestants and fans. Rebecca Latham of Hastings, Minn. won the 23rd Annual Maryland Black Bear Conservation Stamp Design Contest with her painting, “Explorer.” The artwork portrayed a lone black bear with fall colors. This is her third win in ten years. Proceeds from the sale of Black Bear Conservation Stamps and other related itemsare added to the Black Bear Compensation Fund, used to compensate Maryland farmers experiencing agricultural damage caused by black bears. The bear stamps, and other related items, can be purchased through the department’s online store. Gerald Putt, of Boiling Springs, Pa, won the 45th Annual Maryland Migratory Game Bird Stamp Design Contest with his beautiful painting “The Resting Place,” featuring a hen and drake wood duck, complete with leg band. 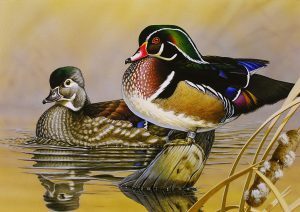 The artwork will be featured on the stamps hunters purchase to hunt all migratory game birds in the state, with the proceeds funding migratory game bird research and habitat enhancement on public lands.